Sarah Howe Cookson School of Dance is registered Dance School with the following Associations. NCDTA, BDC and ADFP and as so, is required to collect and manage certain data. We need to know parent’s names, addresses, telephone numbers, email addresses. We need to know children’s’ full names, addresses, date of birth and Education school, along with any SEN requirements. We are also requested to provide this data to South Tyneside Council/North Tyneside Council and other performing council areas; this information is sent to the Local Authority via a secure electronic file transfer system. We are required to collect certain details of visitors to our Dance School. 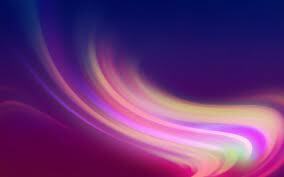 We need to know visitors names, telephone numbers, and where appropriate company name. This is in respect of our Health and Safety and Safeguarding Policies. 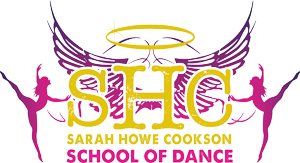 At present Sarah Howe Cookson School of Dance does not have any employees however it has Volunteer Teachers, therefore it is required to hold data on its Volunteer Teachers; names, addresses, email addresses, telephone numbers, date of birth, photographic ID such as passport and driver’s license. This information is also required for Disclosure and Barring Service checks (DBS) and proof of eligibility to work in the UK. This information is sent via a secure file transfer system to South Tyneside Council for the processing of DBS checks. DBS Numbers and date of issue are also held on a central record filing. All paper copies of children’s,visitors, parents, staff and volunteer records are kept in a locked filing cabinet in a locked room within the premises in which our classes are held, Perth Green Community Association. The Owner and Volunteer Teachers can have access to these files but information taken from the files about individual children is confidential and apart from archiving, these records remain on site at all times. These records are shredded after the retention period. Information about individual children is used in certain documents, such as, a weekly register, medication forms, and disclosure forms. These documents include data such as children’s names, date of birth and sometimes address. These records are shredded after the relevant retention period. Sarah Howe Cookson School of Dance collects a large amount of personal data every year including; names and addresses of those on the waiting list. These records are shredded if the child does not attend or added to the child’s file and stored appropriately. Personal data is transferred from signed forms to a secure excel database in which the owner only has access to via a secure password login. Sarah Howe Cookson School of dance stores personal data held visually in photographs or video clips, written consent has been obtained by parent/guardian to display on the website www.sarahhowecookson.co.uk or on Sarah Howe Cookson School of Dance’s social media sites. Access to all office computers/laptops is password protected. When a member of staff/volunteer leaves the company these passwords are changed in line with this policy and our Safeguarding policy. Any portable data storage used to store personal data, e.g. USB memory stick, are password protected and/or stored in a locked filing cabinet. Sarah Howe Cookson School of Dance requires data to be transferred from one IT system to another; such as from Sarah Howe Cookson School of Dance to the Local Authority, for performance BOPA licences, and Dance Associations for examinations/competitions. These recipients use secure file transfer systems and have their own policies and procedures in place in relation to GDPR.